Around the world, Marie Curie is recognized as one of the most brilliant scientists of the past 200 years. In recognition of the transformative discoveries of Marie Curie and other French nuclear scientists, the Atomic Heritage Foundation (AHF) has launched a new online educational program called “France and the Atomic Age” on its “Ranger in Your Pocket” website (www.rangerinyourpocket.org). Marie and Pierre Curie’s work on radioactivity earned them the 1903 Nobel Prize in Physics with Henri Becquerel. After Pierre’s death, Marie would be awarded the 1911 Nobel Prize in Chemistry for their discovery of the radioactive elements polonium and radium. The discovery of radioactivity and radioactive elements revolutionized modern physics. These discoveries led to many scientific and engineering innovations, as well as the eventual development of nuclear reactors and weapons. Marie and Pierre’s daughter Irène Curie continued in her parents’ footsteps, training as a chemist and working with her mother at the Radium Institute that Marie had founded in Paris. There, Irène met a promising young physicist named Frédéric Joliot. 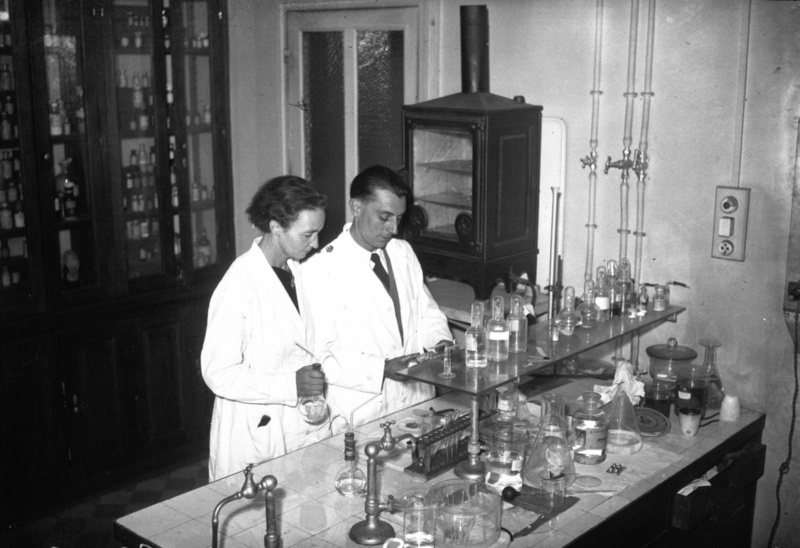 They (pictured together at right) married and, like Marie and Pierre, embarked on a long collaborative career that would also earn them a Nobel Prize. As Hélène Langevin-Joliot remembers, “They were happy working together.” With their discovery of artificial radioactivity in the early 1930s, Irène and Frédéric realized that physicists would one day soon be able to harness the energy of the atom. Just a few years later, the discovery of nuclear fission led to an international race for the atomic bomb. Five French scientists, including Kowarski and Halban, were involved with the Manhattan Project, the Anglo-American effort to develop the atomic bomb during World War II. They were mostly located in Canada, where they successfully built a heavy water reactor at Chalk River. The ZEEP (Zero Energy Experimental Pile) Reactor went critical in September 1945, becoming the first operational reactor outside of the United States. Despite their accomplishments, the French scientists were viewed with suspicion by Manhattan Project leaders. Weart recounts, “These Frenchmen were scattered about, not entirely trusted by the Americans because they were French, and they even knew communists or had friends who were communists. The British set them up in Canada as a way to maintain at least some independence from the Manhattan Project.” After the war, the French scientists were stymied by the US government in their efforts to secure patents or financial recognition for their contributions to nuclear physics. In one vignette, Langevin-Joliot recalls that her father was deeply distressed that the Manhattan Project’s official report, the 1945 Smyth Report, failed to mention the important research of French scientists. France was devastated by World War II. Shortly after the war ended, Joliot-Curie, Kowarski, and other scientists began to explore using nuclear reactors to power France. Weart relates, “The power went off all the time, if you could even get power. They were short on coal. People were literally freezing in the dark. Getting a new source of energy was certainly a good idea for postwar France.” The French government named Joliot-Curie as the director of a new agency, the Commissariat à l'Energie Atomique (CEA) or the Atomic Energy Commissariat. 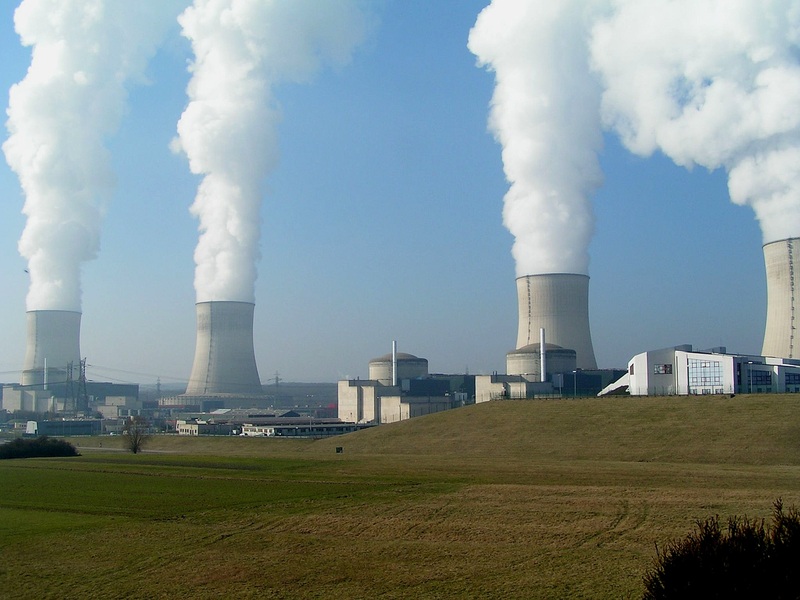 The program explores how France came to develop both nuclear energy (pictured, left: Cattenom Nuclear Power Plant, photo courtesy of Stefan Kühn/Wikimedia Commons) and weapons. While Joliot-Curie was enthusiastic about building nuclear reactors to power France, he was adamantly opposed to building nuclear weapons. Because of his opposition and his involvement with the Communist Party, he was fired as CEA director in 1950. When Charles de Gaulle became president in 1958, he accelerated the nuclear weapons program. In 1960, France tested its first atomic bomb in Algeria. Today, France has over 300 nuclear weapons. Like the United States, France has a nuclear triad with weapons mounted on submarines, missiles, and airplanes. “France and the Atomic Age” recognizes the French scientists who revolutionized modern physics. Thanks in large part to the Curie family, France was established early on as a dominant force in the field of nuclear physics. The research of Frédéric and Irène Joliot-Curie and other French scientists proved crucial to the development of the atomic bomb and nuclear energy. Currently, nuclear energy supplies more than 70% of France’s energy. The Atomic Heritage Foundation is very grateful to the Richard Lounsbery Foundation for its support of the project, and to the Institut Curie for providing photographs for use in the program. AHF also thanks Hélène Langevin-Joliot and Philippe Halban for contributing their wonderful personal accounts.